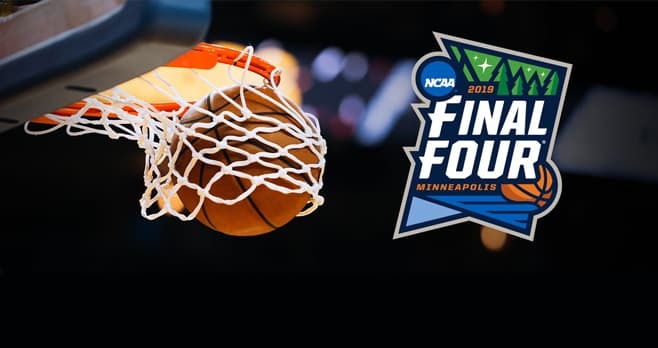 AT&T THANKS is offering you the chance to win a trip to the 2019 NCAA Final Four in Minneapolis. For your chance to win, enter the Final Four VIP Experience Sweepstakes at thanksloyalty.com/finalfour by March 21, 2019. The AT&T THANKS Final Four VIP Experience Sweepstakes is open to U.S. citizens or U.S. residents who are physically located in the 50 United States or the District of Columbia, who are at least 21 years of age, and who are AT&T customers. The Sweepstakes begins at 8:00 AM CT on March 6, 2019 and ends at 11:59 PM CT on March 21, 2019. There is a limit of one (1) entry per person, regardless of method of entry. The grand prize consists of a trip for the Winner and one (1) guest to Minneapolis, MN to attend three (3) 2019 Final Four games. Visit thanksloyalty.com/finalfour to enter and see Official Rules for details.